Join Kris on New Adventures in Flooring and on the Web. – Maly Ceramic Tile Co.
Today begins my initiation into web posting. I’m not usually at a loss for words (ask anyone who knows me) but I’m trying to decide what to post about first. …hmmmmm. Should it be about trends? Or about all the amazing new mosaic tile shapes, sizes, patterns and material content now available to dress your backsplashes, bathrooms and fireplaces? Should I make a plea for carpet and it’s benefits since everyone on the home improvement shows are telling us to strip carpet from our homes? …Well, excuse me but we DO live in Wisconsin and it gets cold in our bedrooms and lower levels. We don’t live in California, or Florida or Las Vegas. I believe that there are so many reasons for new flooring or to remodel office spaces and hotel lobbies and restaurants and bathrooms, but the opportunities for what to do or what to use are so expansive that it can be overwhelming if you don’t have a vision. If you are fortunate enough to have a designer or an architect or a team with professional experience in this field, then you won’t have to have that vision yourself because they will get you to it! But, if you need a little coaxing or prodding or hand holding to get comfortable with the task at hand then call me for an appointment and I can take that journey with you and encourage you to find what suits you and your lifestyle. I won’t try to sell you something you don’t want and I will be mindful of your budget. Maybe you already know what you are looking for and I can simply help you find it. Call me! 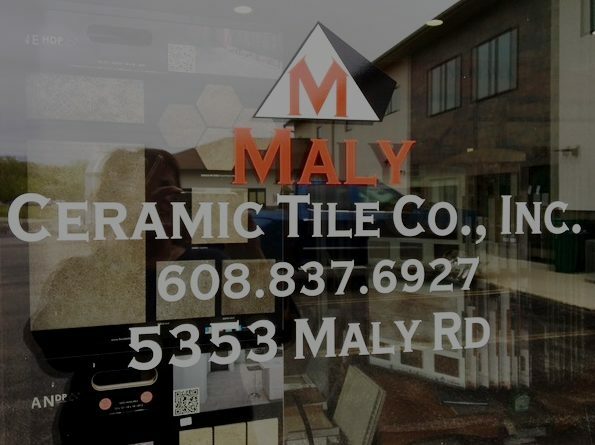 After several years in sales, merchandising & retail management and then more years doing accounting and auditing work it was an easy transition into this current career at Maly Ceramic Tile Company. I love being able to help contractors and customers bring their visions to reality in both new construction and renovation projects. The flooring and tile market is ever-changing and I enjoy learning the new products available by working with all our sales reps. I'm also the contact if you need contract documents including lien waivers, close outs & COI's or for any other office related issues.